Land-leasing and employment with the full range of benefits for smallholder farmers; off-grid energy solutions for remote rural areas, and part-time work for the “at-risk” (i.e. formerly abused, out-of-school, homeless youth. Defined as “commercially viable business models that expand access to goods, services and livelihood for low-income people,” IB helps companies engage the poorest of the poor in their value chain as suppliers, distributors, retailers, or customers, said Caroline Grace Pedragosa, PBSP IB Center director, at the Makati City launch. Nontoxic and biodegradable household and personal care products manufacturer Messy Bessy, Accenture Philippines, and high-quality machine manufacturer Wellmade Motors and Development Corp. under education; and Cebuana Lhuillier Insurance Solutions (CLIS), microfinance company Taytay sa Kauswaan (Bridge to Progress), Inc., e-commerce network Tapp Commerce, and digital financial services company Ayannah under financial services. 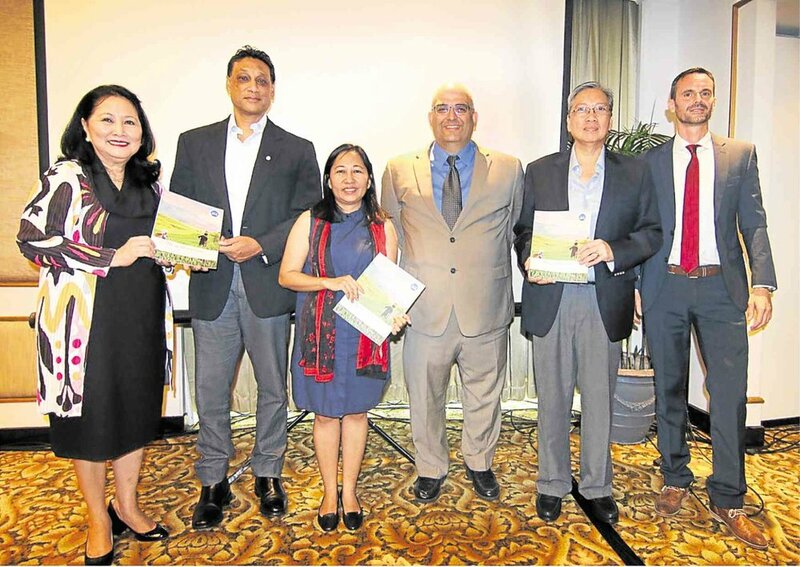 The book lists some of these 13 companies’ best IB strategies: Both MKAVI and Coffee for Peace, for instance, not only provide smallholder farmers livelihood, but also help restore peace in their respective communities, as their farms are mostly located in conflict-torn areas of Mindanao. LIFI, on the other hand, engages farmers on product diversification and organic farming practices. Lack of access to energy in rural areas is addressed by HSSi by providing low-income, off-grid households in far-flung communities with standalone solar energy systems. Their IB approach focuses on marketing appropriate solar-powered solutions, provision of financing for the end users, education and training, and implementation of a technical support network. Similarly, Davao Light and Power Company provides access to reliable and clean energy to Mindanao residents, and involves communities in the management of solar charging stations. Affordable and quality socialized housing is provided by Phinma Properties to low-income Filipinos, including informal settler families, who are conveniently relocated within their city of residence. Accenture Philippines’ Skills to Succeed corporate citizenship program is featured as it enables highly qualified young professionals find employment either within the company’s value chain or in other BPOs by providing them with skills building opportunities on information technology, vocational training, and near-hire training as call center agents. Wellmade Motors and Development Corp., because of its efforts to provide employment opportunities to high school graduates and persons with disabilities through skills training, and Messy Bessy’s similar Helping Ourselves Program which hires at-risk youth as part-time workers, are both commended by PBSP. Financial inclusion is exhibited by CLIS through its affordable and accessible microinsurance products for middle- and low-income Filipinos, as well as its Claims Rapido program, which allows them to give out claims to their customers affected by disaster within 24 hours. Taytay sa Kauswaan also assists the marginalized through microfinance, business development services, community enterprise development and training. Tapp Commerce uses its mobile marketplace app to helps unbanked customers make certain financial transactions using cash within their communities through shopkeepers trained as Tapp agents, while and Ayannah, using its Sendah Remit software and network, improves interoperational efficiency of remittance centers, pawnshops and couriers. It’s going beyond corporate social responsibility (CSR), explained Pedragosa. “I’m not saying that CSR programs [do not work], but with CSR, you need so much resources that aren’t connected to your core business. Companies have to set aside budgets for that every year. But if you are able to directly engage communities, then companies wouldn’t have to do that anymore,” she said. “It’s more sustainable, long-term, and we’re telling companies that if you do this, since it’s closer to your core business, then you are also helping improve the level of income of people. You are therefore expanding your market because more people can afford to buy your products,” she added.